Five misses to the left proved costly for Graeme McDowell as he fell seven strokes off the pace in the DEAN & DELUCA Invitational at Colonial Country Club. The Portrush native bogeyed the third, fourth, fifth and ninth after missing either his tee shot or approach to the left and while he birdied, the sixth, 12th and 13th (where he holed a 50 footer), he bogeyed the 14th and carded a two-over 72 to fall back to tied 15th on two-under par. He's now seven strokes behind Webb Simpson, who shot a three-under 67 to lead by two strokes on nine-under par from Paul Casey (68) and Danny Lee (69). Stewart Cink (66) and Kevin Kisner (70) are three behind Simpson on six under with Jon Rahm (70) and Sean O'Hair (70) a shot further back. There's no shortage of quality ahead of McDowell with Emiliano Grillo (65) and Bill Haas (68) moving up to eighth alongside defending champion Jordan Spieth (68), Masters champion Sergio Garcia (71) and Scott Piercy (72) on four-under. Seeking his first PGA Tour win since the 2013 Shriners Hospitals for Children Open, Simpson said: "I'm thrilled to have the lead. "I think it's been a while. I don't know how long it's been. But excited for the day tomorrow. Good, solid day. I was happy to go out in the last group today and hit some good shots, make some good putts in this environment to kind of and get me ready for tomorrow. "Understanding we got a different wind tomorrow, so golf course will play differently. Hopefully, I come out ready. I've been saying every day that I'm just trying to shoot under par each round and I've done it so far. "Another good one tomorrow, and hopefully it'll be good enough." 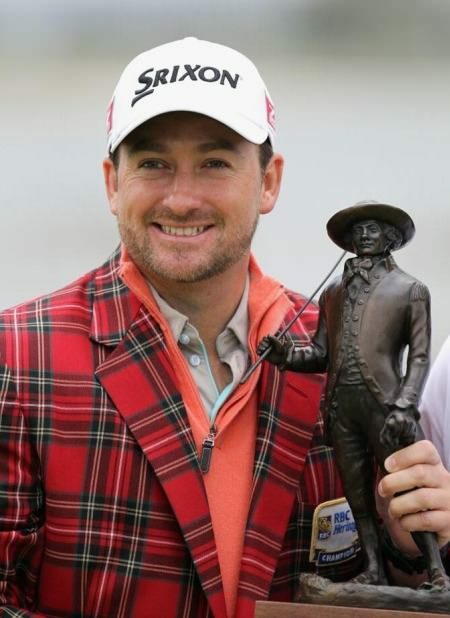 Graeme McDowell jumped to world No 8 with his win in the RBC Heritage at Harbour Town. Graeme McDowell’s grinding determination and his improved short game paid dividends when he beat fellow US Open champion Webb Simpson at the first extra hole to win the RBC Heritage and return to the world’s Top 10.